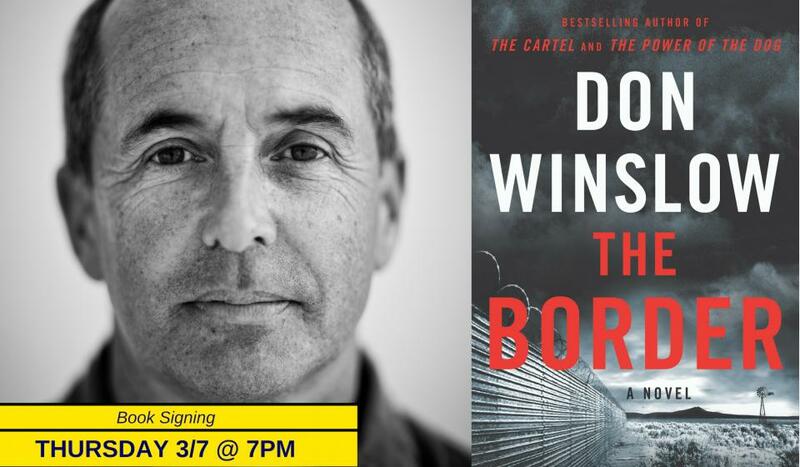 THE BORDER is the explosive conclusion to the epic, internationally bestselling Cartel trilogy from the New York Times bestselling author of The Force: Don Winslow. A shattering tale of vengeance, corruption and justice, this new novel is packed with unforgettable, drawn-from-the-headlines scenes. THE BORDER is an unflinching portrait of modern America, a story of—and for—our time. The Cartel's final legacy is the heroin epidemic scourging America. Throwing himself into the gap to stem the flow, Keller finds himself surrounded by enemies―men who want to kill him, politicians who want to destroy him, and worse, the unimaginable―an administration that’s in bed with the very drug traffickers Keller is trying to bring down. Art Keller is at war with not only the cartels, but with his own government. Now he learns the final lesson―there are no borders. In a story that moves from deserts south of the border to Wall Street, from the slums of Guatemala to Washington, D.C., the author follows a new generation of narcos, the cops who fight them, street traffickers, addicts, politicians, money-launderers, real-estate moguls, and mere children fleeing violence for the chance of life in a new country. Don Winslow is the author of 20 acclaimed, award-winning international bestsellers – including the New York Times bestseller and sensation The Force, the #1 international bestseller The Cartel, The Power of the Dog, Savages, and The Winter of Frankie Machine. Savages was made into a major film by three-time Oscar winning writer-director Oliver Stone. The Cartel is scheduled to begin production in 2019. A former investigator, anti-terrorist trainer, and trial consultant, Winslow lives in California and Rhode Island.